As with many problems people experience on a day to day basis, the solution could be sitting (pun intended) right in front of us! 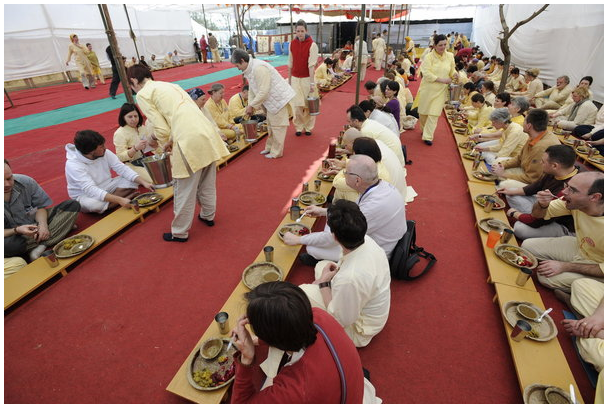 In India and across Asia you don’t even need to look very far back, to see people sitting on the floor for the majority of their daily activities, in particular eating. So, what difference does sitting or squatting on the floor make anyway? While I’m on the topic of eating… If you eat sitting with the legs crossed, you can actually speed up your digestion… How? the blood flow to the legs is reduced, and is concentrated in the abdominal region. This brings more oxygen to the digestive organs stimulating the digestive process. By sitting on the floor (not leaning against the wall) the muscles in the lumbar region of the body are automatically engaged and therefore strengthened. This dramatically reduces most common back pain and discomfort. The flexibility benefits. The hips will be opened, making our pelvis and legs more flexible! This again will help with lower back problems as the hips will be more able to bear weight, taking tension from the lower spine. Posture, learning to sit with your spine straight, and even getting comfortable like this, will help with your posture in general. (you don’t often see yogis, and ballet dancers slouching) Again building up the muscles supporting your spine will help you to hold it up (makes sense) This can also help to boost your confidence. So where and how to start? 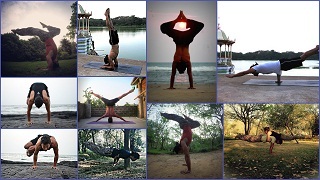 There seem to be endless lists of seated yoga postures, basic and not so basic. Some of which you may find easy and some that seem completely impossible (they will get more easier with time, I promise). While you may not all be able to come straight to Padmasana (Lotus Posture) does not mean you can’t reap the benefits, that sitting down can have on the body. Start by using a cushion (or two… or three if you need) and try to find which sitting position is most comfortable for you. Most commonly this would be something like Vajrasana, Simple crossed legs, or legs stretched out in front of you. Which ever you choose try to keep the spine straight and away from back rests. Imagine someone with a string tied to the top of your head pulling it up. At first just try for short periods of time as it will be uncomfortable and achy, slowly try to increase the duration of sitting until it becomes effortless. If you are already quite flexible, you cant try sitting in Padmasana (Lotus Posture) this is thought to be the optimal sitting position creating good posture and alignment. But if it is hurting your knees come out of the posture and work on hip flexibility before trying again. A more fun way to start this practice, is to have more picnics! Why not try it? Pack up your food, grab a blanket and walk to your nearest park/field/terrace/nice place. Combine sitting on the floor with something a little different from the norm. Or if the weather is horrible just turn it into a picnic at home, which is basically what I’m suggesting anyway it just sounds nicer like that. Give it a go, and have fun!